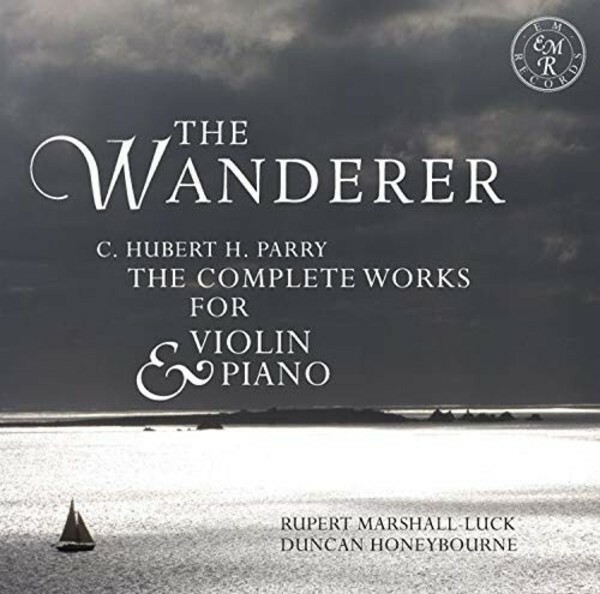 Violinist Rupert Marshall-Luck and pianist Duncan Honeybourne present a 3-CD set of the complete works for violin and piano by Hubert Parry. It is easy to overlook, or at least to underestimate, the revivifying effect of Parry�s work. His music was a refreshing, invigorating contrast to the reactionary environment that prevailed in British music through the first half of the nineteenth century. This new voice stemmed largely from the wider, continental European influences to which Parry was exposed as a student of Edward Dannreuther: a champion of Brahms, Liszt and Wagner, Dannreuther instituted a series of chamber music concerts at his London home, which provided both a stimulus for Parry�s own important assays into the genre of chamber music and a vehicle for their first performances. This conspectus of Parry�s works for violin and piano ranges from the early and unpublished �Freundschaftslieder� of 1872 to the Suite no.2 of 1907 and will therefore provide a fascinating chart of their composer�s progress from a young man, eager to hone his craft, to an established and respected musician, academic and teacher. His music for this genre expresses a wide range of emotions: they are wistful and elegiac; beautifully and memorably lyrical; exuberantly energetic; and full-bloodedly and assuredly celebratory. Branded �the heroic Duncan Honeybourne� by Musical Opinion and commended for the �suave confidence� of his playing by International Piano magazine, Duncan enjoys a colourful and diverse career as pianist, writer and in music education. His concerto debut in 1998 at Symphony Hall, Birmingham, and the National Concert Hall, Dublin, was broadcast on radio and television, and recital debuts included London, Paris, and international festivals in Belgium and Switzerland. Duncan has toured extensively as soloist and chamber musician in the UK, Ireland and Europe, broadcasting frequently for BBC Radio 3 and networks worldwide. His many recordings reflect his long association with 20th and 21st century British piano and chamber music, and include works dedicated to him by celebrated composers. He is a Tutor in Piano at the University of Southampton.